As part of the University’s investment into the Humanities and in response to growing demand for Anthropology and Heritage related studies, at both UG and PG level, the University wishes to appoint a fulltime permanent Social/ Cultural Anthropologist with a particular interest in Heritage or Heritage representations. The post holder will join a thriving and dynamic School of Archaeology, History and Anthropology, with a strong tradition in both research, teaching and project work. 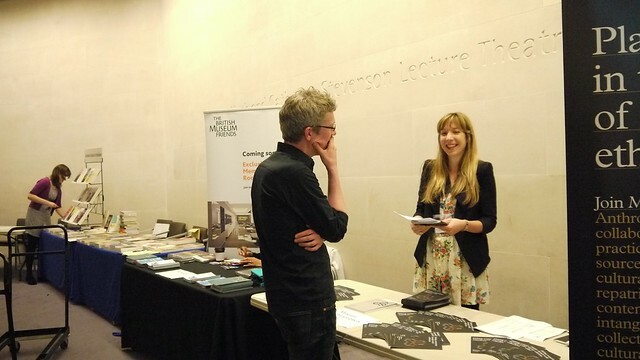 Thanks to the questioning minds of Clare Wintle and Chris Wingfield, as well as a grant from Arts Council England (ACE), MEG played a prominent role in the recent RAI conference ‘Anthropology in the World’, held at the British Museum earlier this month. 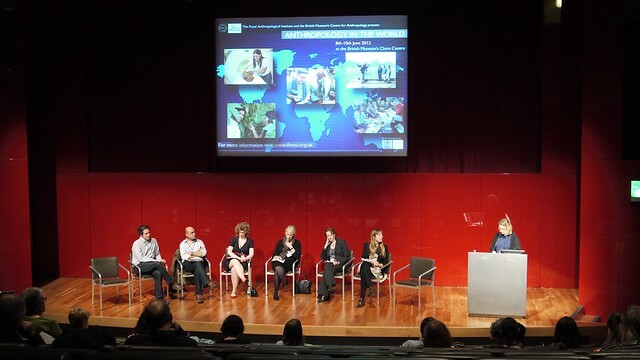 Eight MEG members were supported by ACE to attend the conference, but funds also allowed MEG to host a roundtable panel discussion session at the conference on ‘Anthropology in Museums/ Anthropology of museum’. 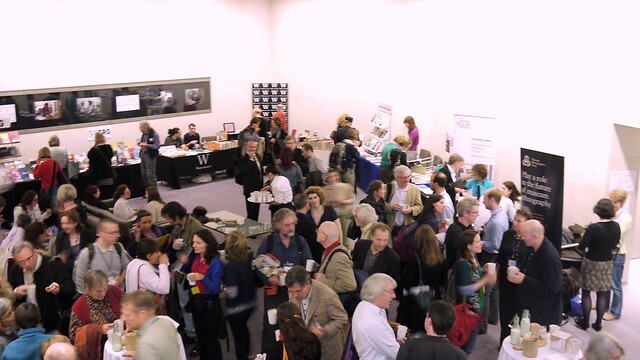 The members in attendance meant that there was no shortage of friendly faces at the MEG stall - situated in a prime spot just next to the Waterstones books, Berghahn publishers, but most importantly next to the tea and coffee. This allowed us to showcase our new and improved journal cover, leaflets and pop-up banners - all results of a previous phase of Subject Specialist Network (SSN) funding. MEG Chair Chantal Knowles began the discussion of 'Anthropology in Museums/Anthropology of Museums' with an overview of the historical and contemporary roles played by anthropology and anthropologists at the National Museums of Scotland. What emerged was a shifting landscape where the fortunes of both the ethnographic collections and those who interpret them have been found at the both the centre and the periphery at various times. Sharon Macdonald (University of Manchester) then admitted that she wasn’t an anthropologist in the museum, but one of those doing anthropology about museums, including supervising students who are exploring the role of the cleaners at Kelvingrove Museum, Glasgow. Picking up this strand and extending it through the methodologies of visual anthropology, Elizabeth Edwards (DMU) discussed studies against the grain of the archive, in this case examining a supporting actor in museum displays – the photograph. Claire Warrior described the role of the anthropologist in a museum that is not overtly anthropological, showing through one object what anthropology can bring to the re-interpretation of collections at the National Maritime Museum, Greenwich. Paul Basu (UCL) focused on the ‘affordances’ the museum might offer anthropology as a means of expressing anthropological knowledge in non-textual ways – through juxtaposition, the three dimensional, the affective and art. It then fell to Chris Wingfield to summarise the papers and throw things forward to the debate after lunch. Chris asked whether perhaps Museum Anthropologists might have something of a 'Melanesian' approach to museum artefacts (including exhibitions), being as interested in understanding them through their effects, as by situating them in relation to the context from which they notionally come? The panel reconvened after lunch, when some great questions led to a dynamic exchange of ideas. Was the term ethnography still relevant in museums today, specifically as a category by which to define objects? Could art provide a space to say the things that more conventional displays could not? Can museums really fulfill the new demand for ‘impact’ in academic anthropological research? And should we be using exhibitions to experiment and provoke?